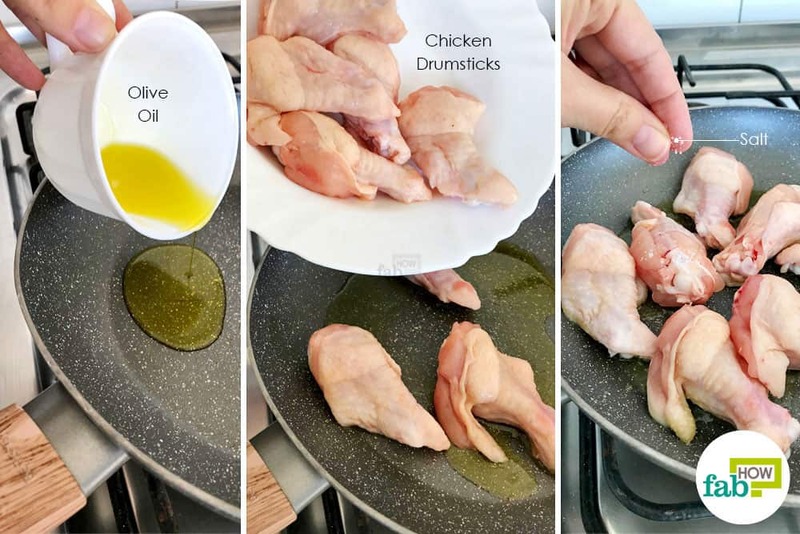 Take out your cooking pan, heat it up, pour in olive oil, and then add chicken drumsticks. Season the drumsticks with a light sprinkling of salt. 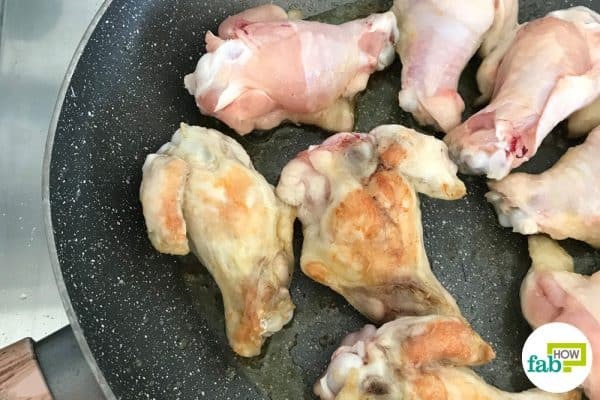 Leave the drumsticks on one side for a couple of minutes so they are browned, then turn over them to cook on the other side. Then occasionally stir them so that they do not burn and after 20 minutes, the meat should be cooked. 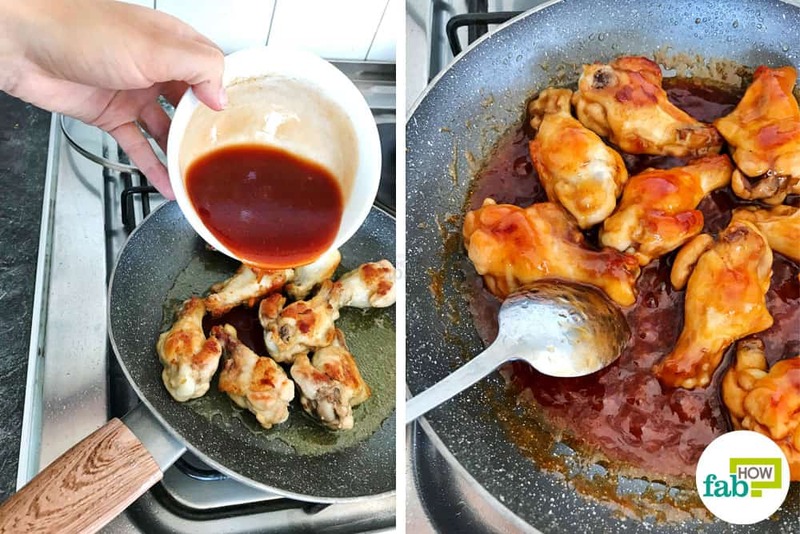 While the chicken drumsticks are cooking in the pan, prepare the sweet and spicy sauce by combining 1 tablespoon of soy sauce with 4 tablespoons of ketchup in a mixing bowl. 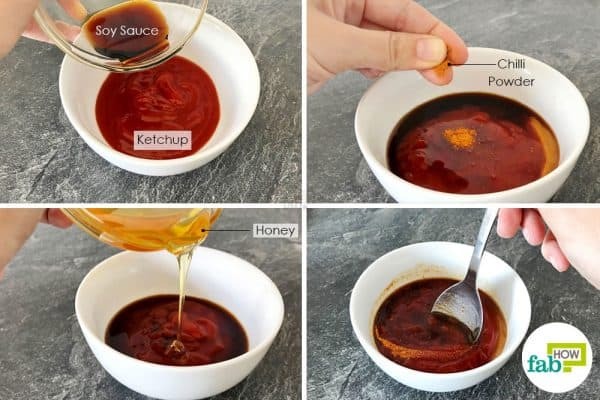 Next, add a pinch of chili powder, followed by 2 tablespoons of honey. Mix well to get a uniform sauce. Serve hot with your favorite salad and side dish or cold as a snack during a party or event. The sauce thickens when it gets cold. Taste your chili powder before cooking so you know how much to add as per your preference. However, keep in mind that the hot sauce will be a bit spicier than the cold one. If you are not sure, when the meat is cooked, take one drumstick and cut it alongside the bone. If the meat comes off the bone easily, it is done. 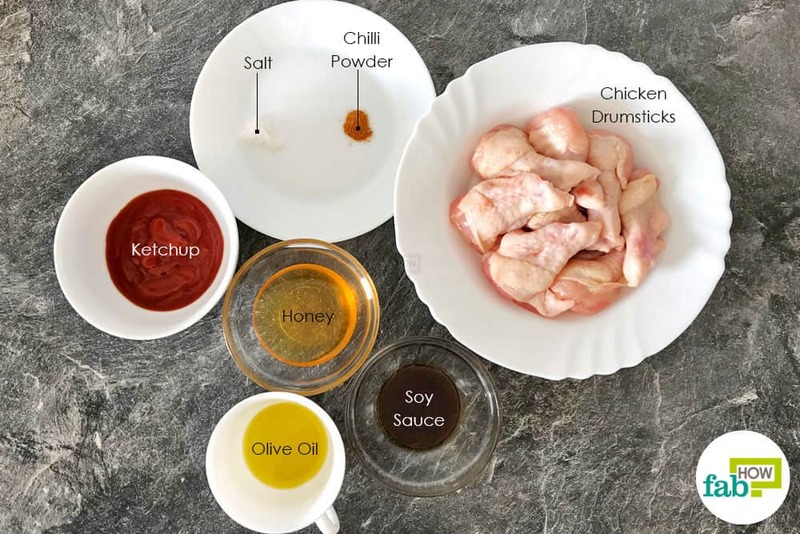 While this recipe is highly useful for preparing instant sweet and spicy chicken drumsticks, you can also marinate the drumsticks in advance to get more flavor in the meat itself. For marinating 400 grams of chicken drumsticks; take the drumsticks in a large mixing bowl and sprinkle some salt and black pepper powder for basic seasoning. Then squeeze in the juice of half a lemon and add ½ a cup of buttermilk as well. Mix thoroughly; use your hands to ensure that the drumsticks are evenly coated. 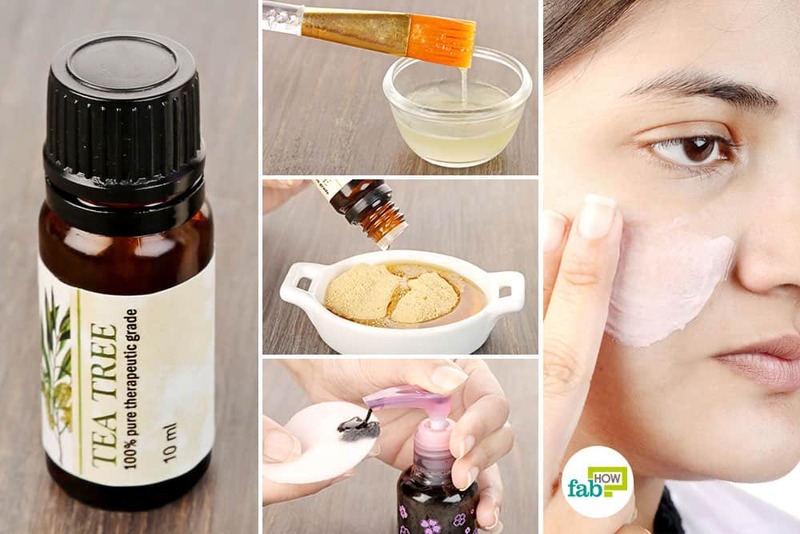 For best results, marinate them overnight. If you really like spicy food, you can also add a few drops of Worcestershire sauce to the sweet and spicy sauce for added heat. Instead of pan-searing, you can also roast your chicken drumsticks; just marinate the drumsticks overnight and then dip them in a mixture of rice and corn flour. Preheat the oven to 450°F and roast the chicken, turning it frequently till the skin becomes brown and crisp. Then remove the drumsticks from the oven and let them cool down a bit. In fact, you can also do this 1 day before the party and then refrigerate the drumsticks. 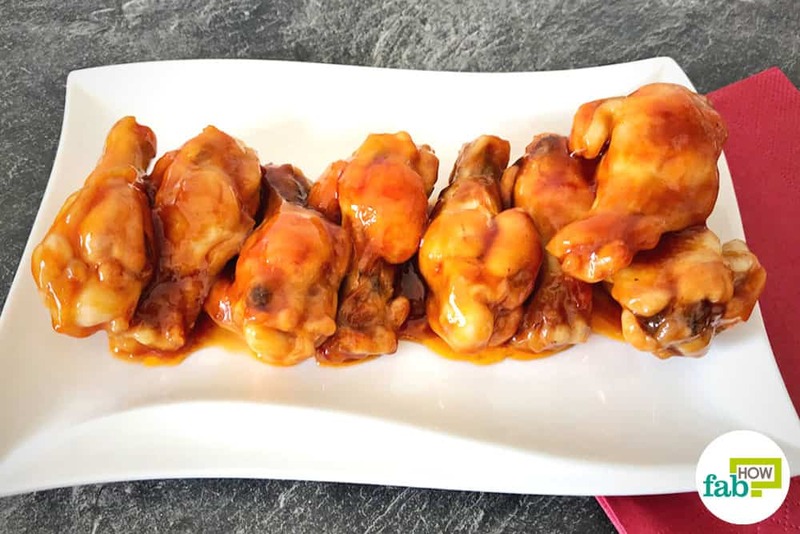 For the final cook before serving, just coat the drumsticks with a thick layer of the sweet and spicy sauce and roast them in the oven for 8 to 9 minutes or till the drumsticks turn crisp. Keep turning them over for uniform cooking. Your crisp sweet and spicy chicken drumsticks are ready to be served. You can also adapt this recipe for cooking sweet and spicy ribs or chicken wings; just adjust the cooking time accordingly. If you are interested in more DIY recipes, you can also learn how to make the easiest Coca-Cola chicken ever. Or you can find out how to make your own barbecue sauce or mustard sauce at home.